I am a “retired” postdoc in particle physics, trying to transition into the tech industry. I started out programming with Java around 1999, and more recently I’ve been doing a lot of work with Python, C, and C++, although I do occasionally dabble in PHP, Perl, shell scripting, and other languages. About a year ago, I posted a list of arXiv joke papers as an answer on Academia Stack Exchange. At the time, I was just going for a de facto “proof” that it’s okay to upload joke papers — after all, there have been so many of them, and some have been so famous, that if the arXiv moderators thought this was a problem they surely would have done something about it. (Which they haven’t.) But after the answer kind of exploded in popularity, I realized that (as far as I know) nobody else has bothered to list all these papers. So I’ve been keeping it updated each year. Starting this year, I’m going to mirror the list here on my site. If you know of anything I should add, let me know! And I’d be remiss not to mention this year’s entry, “Sitnikov in Westeros: How Celestial Mechanics finally explains why winter is coming in Game of Thrones”. This paper actually does have a real scientific explanation for the bizarre patterns of seasons in Game of Thrones. 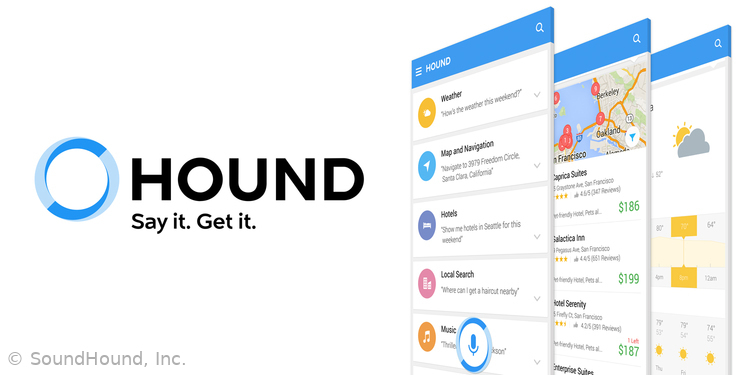 I’m not a fan of the phrase “dream job”, but if I were ever to use it, I think this would be the time: I’ll shortly be starting work as a software engineer at SoundHound! This is a company that got its start with music recognition — the app where you can hum a song and it’ll recognize it from the melody — and is now working on a state-of-the-art voice assistant, Hound. I’m really impressed with what I’ve seen of the company: I get to work with a bunch of smart people on a challenging problem, exactly where I wanted to wind up (the SF Bay Area). And the best part: they seem impressed with me and my programming skills as well. I gotta say, it feels strange to be appreciated. I kind of like it. More news to come as I gear up toward starting the new job! The FCC’s Open Internet Rules (net neutrality rules) are extremely important to me. I urge you to protect them. I don’t want ISPs to have the power to block websites, slow them down, give some sites an advantage over others, or split the Internet into “fast lanes” for companies that pay and “slow lanes” for the rest. Since my post a few days ago on the modern history of the net neutrality debate, I’ve been poring over the latest step in that filing: the FCC’s Restoring Internet Freedom initiative. These people at the FCC write a lot. But I’ve finally made it through the new proposal. In this document, the FCC’s main goal is to justify classifying broadband internet service as an “information service”, not a “telecommunications service” which it currently is. Like I explained in my last post, information service providers are only minimally regulated by the government, whereas telecommunications service providers, or common carriers, are strictly regulated by title II of the Communications Act — in particular, they can’t block or discriminate among the traffic they carry based on content. Think of a website you like. Now, think about this: how much are you willing to pay to use that website instead of its crappy competitor that your internet service provider made? When Google started Gmail, imagine AOL saying “you can access to this site for only $50/month”. I’d be displeased. How long are you willing to wait for your website of choice to load, rather than going to the crappy (but quickly-loading) competitor your ISP runs? Imagine watching Orange is the New Black on Netflix and having to wait two hours while it buffers, even though the bland reality shows and sitcoms on Comcast’s video site stream in real time full HD. I’d be mad. Net neutrality guarantees this will never be a problem. It means Gmail will be free, Netflix will be fast, and you can giggle at all the cute cat pictures your heart desires. I’m back! After lots of work improving the theme and the implementation of my website, I’m getting back to regular blogging! Most of the site looks pretty similar to how it did before, but there are some significant changes under the hood. I’ve converted almost the entire site from my homebrew content management system (Modulo) to the static site generator Pelican, omitting only a few pages that that mostly involve dynamic content. I’ll keep the old site active until I get everything converted. This will make it a lot easier for me to write blog posts. I switched web servers from CherryPy, which is designed for dynamic sites implemented in Python, to Caddy, which is designed for mostly-static sites. Caddy also provides an easy way to enable HTTPS, which is long overdue for my site. I’ve converted the math in blog posts to use MathJax, which looks way cleaner than the LaTeX-generated images I used to have. I have a new icon, a simple design with three circles that fits right in with the site’s theme. Well, that’s it: as of today, I’m officially no longer a scientist. Unofficially, of course, it’s not that simple. My postdoc contract expired on September 30, but I’m still not done with a couple of projects I really wanted to finish before leaving CCNU. So I might wind up putting some things on arXiv this month and maybe even submitting one last paper, but in the long term, research and I are parting ways. I’m back, with a big announcement: next week I’ll be curating the @realscientists Twitter account! @realscientists is a rotating-curator account, which means that every week, a different person takes over the account to post about their work and life and anything else of interest to Twitter. Some weeks they have a traditional academic scientist posting. Other times it’s a journalist, author, policy maker, an industry scientist, or anyone else who is involved with science. Tweeting for @realscientists is kind of a big deal: the account has more than 35 thousand followers! I’ve wanted to do this for a couple years, though I didn’t apply until just recently… for reasons that seem kind of silly now. As luck would have it, the original curator for next week had to cancel, so I get to step in at the last minute. Props to the Real Scientists mods for getting everything ready in about 3 days. A whole year of me promising to write more blog posts has come and gone, and it hasn’t happened. In the spirit of not making excuses, I’m not going to get into why I haven’t kept the blog updated this year (well, okay, a little: postdoc work and studying Chinese kept me busy, and some personal issues wrecked my motivation), but let me resolve that I’m going to pick up the pace in 2016. There will be a lot of interesting physics developments to write about! I still have an explanation of the months-old pentaquark paper on my to-do list, and there’s a mysterious bump in the latest LHC data that could be nothing, but is attracting everyone’s attention nonetheless. And that’s not even including the updates about life in China. So here’s to 2016 being a year of rebuilding, off- and online. Follow the blog (and other updates) on Facebook and Twitter! It’s been a while since I updated the blog — I’ve been busy, but there have also been some technical problems with the site, so I couldn’t put up blog posts until I fixed them. I’ve got a lot to report about my adventures traveling over the summer, though! More to come soon.